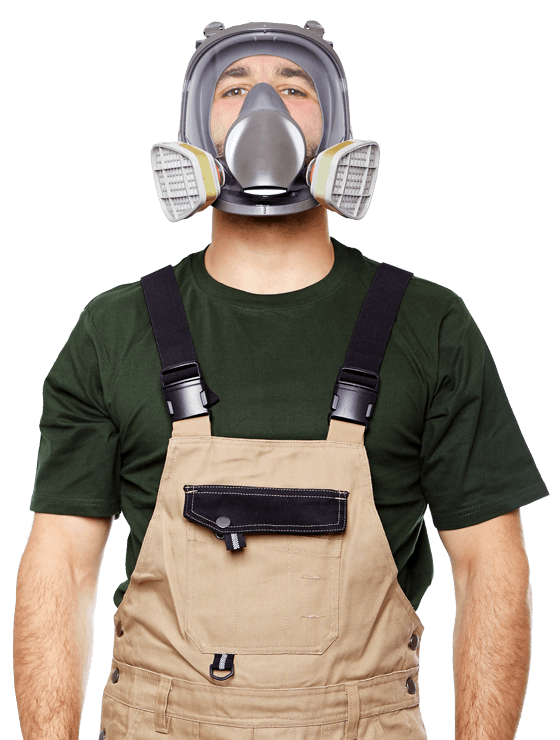 Formaldehyde – What is it and how does it affect you? Formaldehyde is a colourless gas that is emitted from many household building materials. 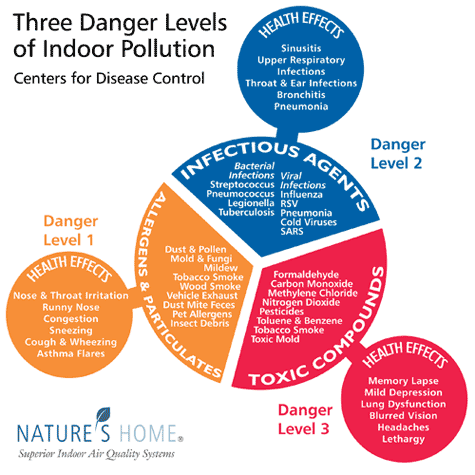 Lower levels of formaldehyde in indoor air are actually very common. Formaldehyde found at higher levels in air can be detected by a sharp smell. 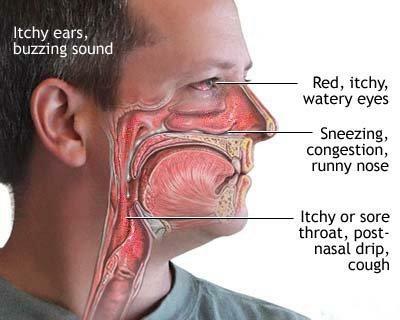 High Levels can cause irritation of the eyes, nose and throat and can worsen asthma symptoms. Lumber Liquidators was recently caught to have sold laminate flooring with high levels of toxic formaldehyde. 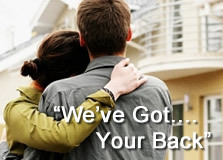 Click here to learn more about this. At very high concentrations, formaldehyde can cause cancer of the nasal cavity. 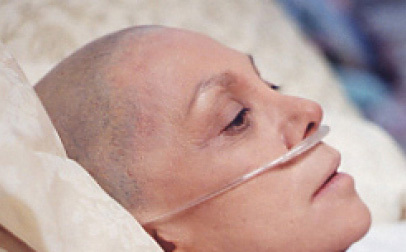 It has been linked to this rare type of cancer in industry workers who are regularly exposed to high levels of formaldehyde. The risk of developing cancer from formaldehyde exposure at concentrations found in most Canadian homes is very low. Long-term exposure to moderate formaldehyde concentrations (at levels lower than those causing irritation) may also be linked to respiratory symptoms and allergic sensitivity, especially in children. Low – below 50 μg/m3 (40ppb) No adverse effects should be noticed. Moderate – above 50 μg/m3 (40ppb) Long-term exposure may result in respiratory symptoms such as coughing and wheezing, and allergic sensitivity, especially in children. High – above 123 μg/m3 (100 ppb) the risk of irritation or burning sensation in eyes, nose and throat from short-term exposure grows with increasing concentration. There is also an increased likelihood of respiratory symptoms from long-term exposure. The short-term exposure limit protects against health problems that may arise from exposure to high levels over a short time period (e.g. one hour). 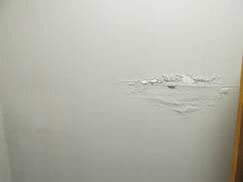 This type of exposure could occur, for example, when working with paint or varnish containing formaldehyde. The long-term exposure limit protects against health problems that may be caused by repeated exposure to lower levels of formaldehyde over a long period (days, weeks, months, etc.). Since formaldehyde levels change over time, with occasional peaks and valleys, long-term exposure levels are best measured by sampling indoor air over a longer period (8 hours or more). To avoid possible eye, nose and throat irritation from short-term exposure, indoor air levels of formaldehyde should be below 123 μg/m3 (100 ppb). This is actually lower than the formaldehyde level that has been shown to cause irritation in scientific studies. 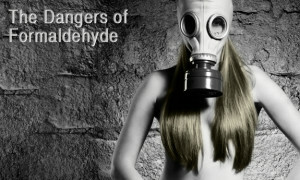 The lower value was chosen to be more protective of health, as people may differ in their sensitivity to formaldehyde. 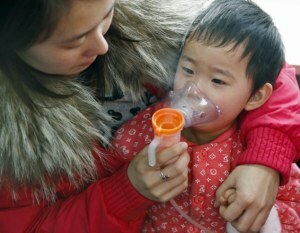 To prevent respiratory problems from long-term exposure, i.e. 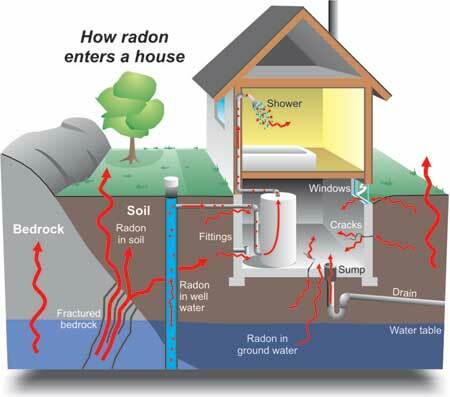 over days, months or years, indoor air levels should be kept below 50 μg/m3 (or 40 ppb). 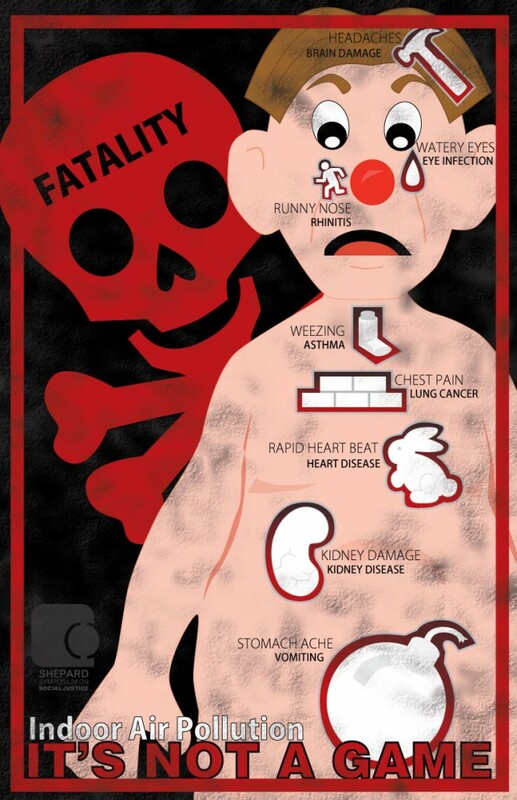 As formaldehyde levels increase above this level, the risk of having respiratory problems or allergic sensitivity also increases, especially for children. Formaldehyde levels in the air are usually measured in micrograms (μg) of formaldehyde per metre cubed (m3) of air. A microgram is a very small amount equal to 1 millionth of a gram, while a metre cubed is the amount of air in a box that is 1 metre high by 1 metre long by 1 metre wide. Formaldehyde levels are also sometimes expressed as parts per billion (ppb). 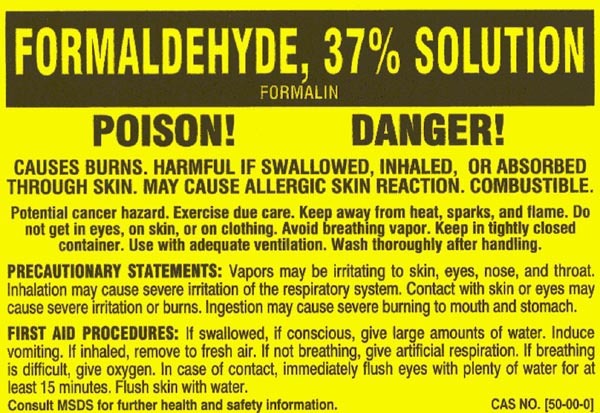 For example, a level of 1 ppb of formaldehyde means there is 1 part of formaldehyde in a billion parts of air. Health Canada has measured formaldehyde in a large number of homes in different cities across Canada – Charlottetown, Ottawa, Quebec City, Regina – as part of an ongoing study on the quality of indoor air. All houses had at least some formaldehyde in indoor air. On average, formaldehyde levels measured over a day in Canadian homes were 20-40 μg/m3 (16-32.5 ppb). Daily levels as high as 95 μg/m3 (77 ppb), however, have been recorded. Formaldehyde levels indoors will depend on the number of formaldehyde sources in the home. 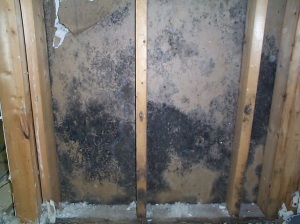 Ventilation is also a factor, as fresh air brought in from outdoors will dilute and reduce indoor formaldehyde levels. Higher temperature and humidity will also increase the release of formaldehyde through off-gassing from some products. The best way to control formaldehyde in the air is to reduce or eliminate as many sources as possible, and prevent it from getting into the air in the first place. Don’t allow anyone to smoke inside. Make sure fireplaces and woodstoves are in good working condition to prevent smoke from getting into your living environment. Keep your chimney clean and clear of obstructions. Don’t idle cars or other gas powered equipment in attached garages or near doors or windows. Engine exhaust contains a number of toxic chemicals, including formaldehyde. For some building and household products, there may be no or low formaldehyde options available, ask retailers or manufacturers for details. To keep emissions low from pressed wood furniture or cabinets, purchase items with a plastic laminate or coating on all sides, or seal them yourself when you get them home. Allow products that contain formaldehyde to “air out” before bringing them into your home. Formaldehyde concentrations are higher indoors than they are outdoors, so you can significantly decrease indoor formaldehyde levels by letting in dry, fresh air. Also, high relative humidity increases formaldehyde emissions. Therefore, it is recommended to measure your indoor humidity level with a Next link will take you to another Web site hygrometer and keep the humidity at around 50% in the summer, and 30% in the winter. If necessary, you can use a dehumidifier to reduce the relative humidity. Urea formaldehyde-based thermal insulation, which is foamed in place and used to insulate buildings, has been banned in Canada under the Hazardous Products Act (HPA) since December 1980. UFFI was prohibited due to the high levels of formaldehyde that were given off during the installation process, as well as the continued off-gassing of formaldehyde from poorly installed insulation. The amount of formaldehyde released by UFFI was highest when first installed and decreased over time. As a result, UFFI installed before 1980 would have little effect on indoor formaldehyde levels today. If UFFI gets wet, however, it could begin to break down and may release more formaldehyde. 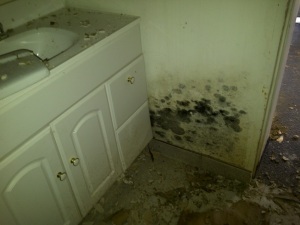 Wet or deteriorating UFFI should be removed by a specialist and the source of the moisture problem should be repaired. RetroFoam, a foamed in-place thermal insulation product, was installed in between 800 and 900 homes in Ontario between 2007 and early 2009. Health Canada has confirmed the product contains urea formaldehyde, and is therefore prohibited under the Hazardous Products Act. Once Health Canada became aware the Hazardous Products Act had been contravened, the department took prompt compliance and enforcement action. 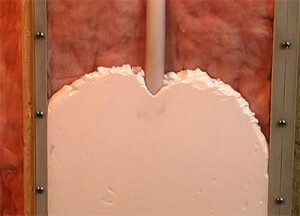 As a result, RetroFoam is no longer available for sale or installation in Canada. Like the earlier UFFI, the amount of formaldehyde released from RetroFoam would have been highest at installation and should decrease over time. While it may take a few months or even years, RetroFoam will eventually stop releasing formaldehyde. Health Canada offered homeowners with RetroFoam the opportunity to test their indoor formaldehyde levels. The results of that testing are available here. It is the responsibility of any vendor to ensure that the product they sell, advertise and/or import meets the requirements of Canadian laws. Before installing any insulation in your home, ask your contractor or retailer whether their product meets applicable laws. Specifically, you can ask them to demonstrate that their insulation product is free of urea formaldehyde. Ask to see the Material Safety Data Sheet or a copy of the chemical formulation for the insulation and make sure the words “urea formaldehyde” do not appear.